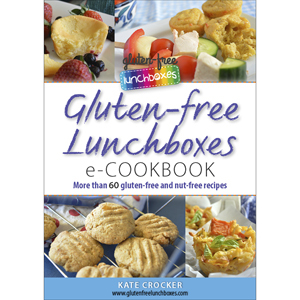 About a week ago, I was reading a post on my friend Kate’s blog. She’s a book blogger at booksaremyfavouriteandbest. Her posts are always entertaining and never too long and her book reviews are food matched. That’s right. Instead of matching wine with food, she matches books with food. Ingenious, right? Anyway, seeing as I don’t usually post much personal stuff here, I decided to jump right on that bandwagon. And because it also happens to be a Thursday, here’s my #throwbackthursday mini collection of photos just for you. 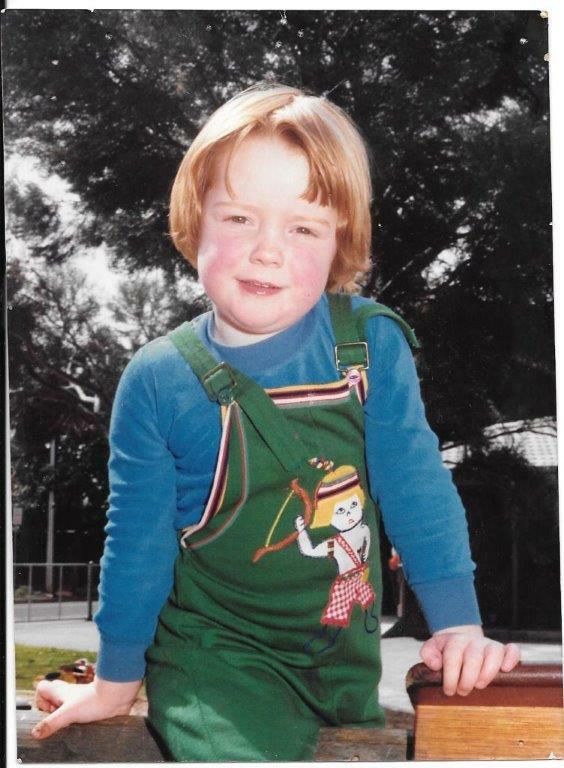 This is my kindy photo, circa 1978. You can tell it’s the 70s by the disco green overalls and skivvy. That cowlick in my hair was as much a trademark as my red hair, but to this day, it still gives me grief! Interestingly, some friends who saw this pic recently thought it was my eldest daughter. I guess she looks a lot like me! Oh, yessssss! The quintessential school formal pic. I was 16 years old, it was 1990. My Mum and I made this dress and I loved it, especially the black lace. You can see all the 1980s hangovers though – puffy sleeves, big hair, sweetheart neckline. Oh, and that forced smile. Ye gods! 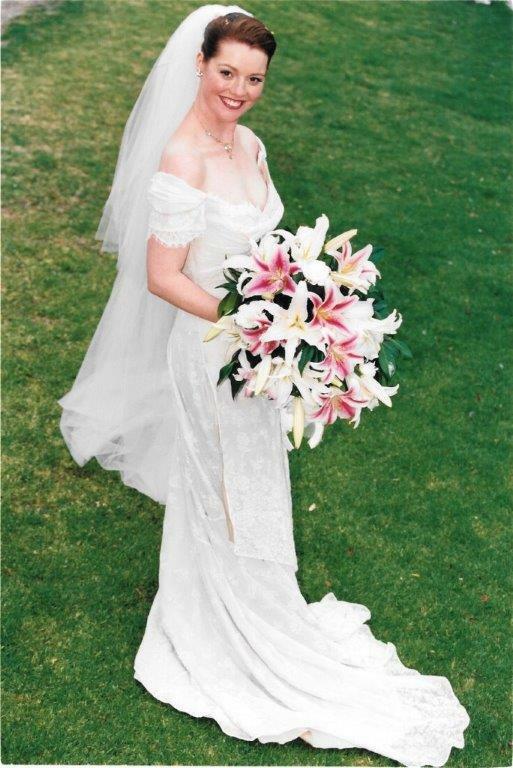 Our wedding day in 1999. Thankfully my ability to smile in front of the camera had improved! 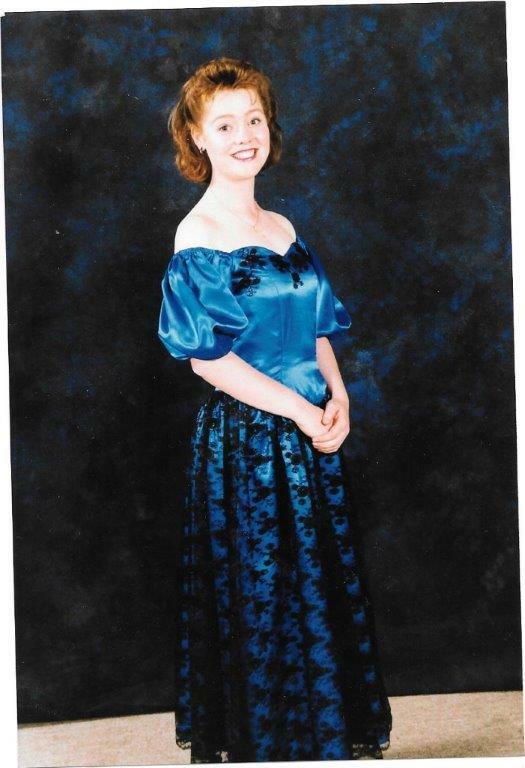 I adored this dress – it was a Mariana Hardwick design, based on the style of dresses in the Titanic movie, which had been released about a year earlier. I was also sporting a sunburn across the back of my neck and jelly fish stings all over my legs. So it wasn’t quite as glamorous as I’d hoped! 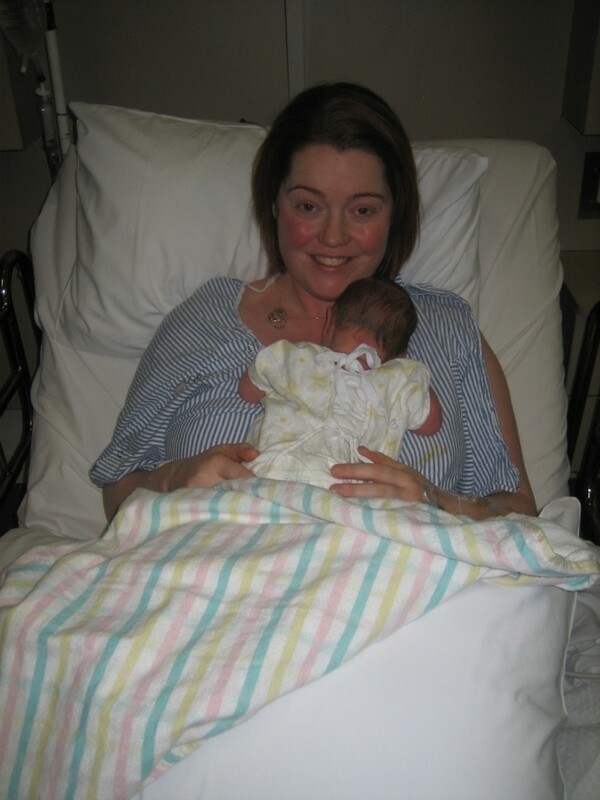 Not at all glamorous, but here’s me in 2010 with my Son, who was just a few hours old. He’s my third child but the birth of each child was a special and amazing miracle. 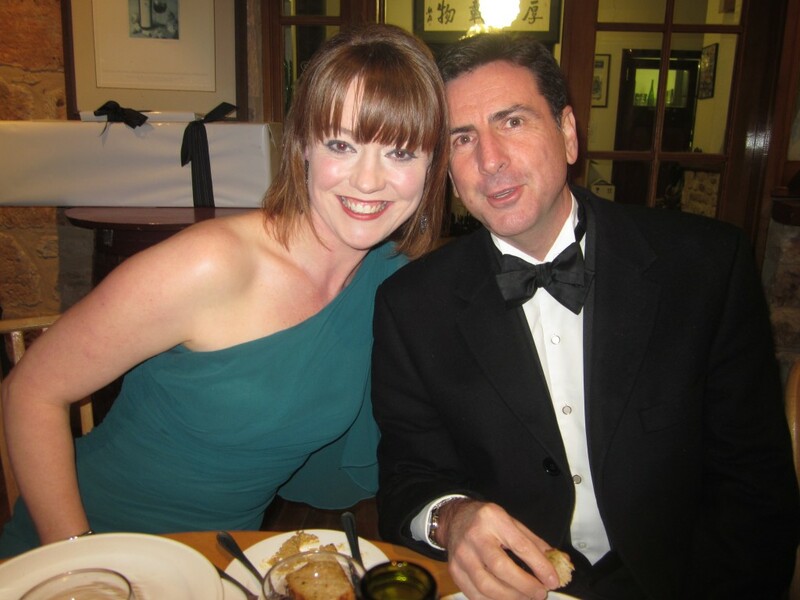 This is my lovely Hubby and me a couple of years ago. A rare night with out the kids AND all dressed up? Of course we had to have a photo! Kate… That formal photo… I really need to dig some of mine out but truthfully, I’m probably very afraid 😉 Seriously, what were we thinking? !